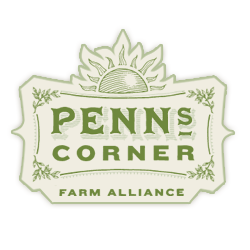 Penn's Corner Farm Alliance is always welcoming restaurants who would like to incorporate our locally grown and raised products on their menu. This year is a great time to start using our high-quality produce, meats, pastas, eggs, honey, syrup, cheese, and other local products. Because all of our products are grown right here in Western Pennsylvania, relying on Penn's Corner is a great way to introduce a seasonal element to your menu. All of our products are custom harvested to your order. That means they can't be any fresher. We offer many staple items as well as hard-to-find gourmet options like microgreens and heirloom varieties. Plus, we will deliver your order to the door of your restaurant. We deliver to businesses around the Pittsburgh region 52 weeks a year, and we would love to make a stop at your establishment too! To get started working with Penn's Corner, email wholesale@pennscorner.com or call 412-363-1971.